Oak, Teak, Mahogany, Walnut etc. etc! So many wood options available out there! Choosing the suitable wood for the job is important as for a beginner. In this post, we are going to answer out the same question for you. Looking out for the Wood options to get started with the Woodworking? Getting the right type of wood for the job is as important as the tool selection for the work. Coming to the types of woods, there are two main classes in it. First is the Soft Wood and the other one is the Hard Wood. Following are the types of Wood which go the best for getting started with the Woodworking. Though pine is a strongly built wood, they get easily dented and also prone to scratching marks. These woods are relatively soft in nature, and this makes the carving smooth and easy for the beginners. You will find this wood in a pale yellow to a light brown shade. Among all the Cedar wood-types the commonly used is the Western Red variety. By the name itself, you can understand that it has got some shades of Red color. This wood comes with a slight aroma, and it is more preferred for the outdoor projects. This is a rare wood type, whose shade goes from white to light brown color. They are easy for basic projects, but the only issue is that – Ash won’t be available with the usual wood centers, so you will have to put in some extra efforts with the searching. Ash is a good substitute option against the White Oak. Next option that you have got is the Mahogany, and they are available in reddish brown to deep red shade. 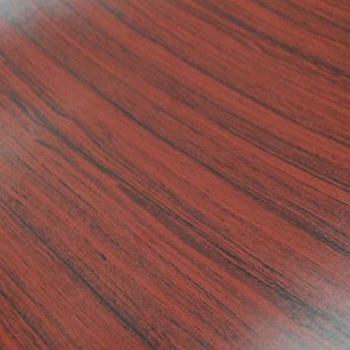 This type of wood are moderately hard, for example, we will give it a score of 2 on a scale of 1 to 5 in terms of hardness. They are costly and only available at standard lumberyards. Easy to work wood, and most commonly used one for the furnitures, that gives you an Oak. They come in either Red or White colour shade, with a hardness score of 4 in the scale of 1 to 5! 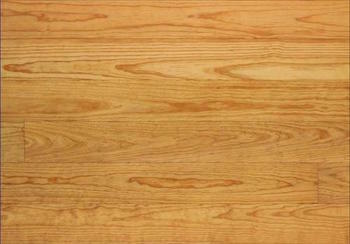 White Oak gives more rich look, and is also preferred more compared to the Red Oak. Maples are available in hard as well as soft forms. The hard maple has got a hardness score of 5 on a scale of 1 to 5. You will require some pro skills to work on this hard wood type. While the soft woods are more easier to handle, and work upon. Soft maple is also found to be less expensive than the hard ones. One of the sorted out wood option for all the outdoor furnishing. But unfortunately they are becoming rare with the passing days. On a scale of 1 to 5, teak has a score of 3. This wood type will be available only in large lumberyards, or any other high-end suppliers. These are a few Types of Wood for Woodworking that you can check out on a beginner’s level. Share us your stories in the comment section below, how you got into woodworking and which was the first wood that you worked on. You can follow us on Mavcc for further post-notifications. You can follow our fellow blogger’s Twitter for all some woody facts and news. Also, do Follow Beingwoodworkers on Reddit. They are doing some amazing job! Show some support!